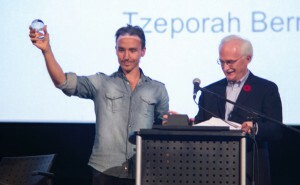 A tribute to the late filmmaker and conservationist Rob Stewart by George Stroumboulopoulos, who will present the first annual Rob Stewart Youth Eco-Hero Award to Jonah Bryson. A presentation of our 2017 film awards, followed by a screening of Can You Dig This – featuring 2017 International Eco-Hero Ron Finley. Ron Finley joins us to accept his award, recognizing his revolutionary work turning food prisons into food forests. Mr. Finley will give a talk, followed by a discussion moderated by Festival Programmer Julian Carrington. Armed with a shovel, some soil and seeds, Ron Finley has come to be known as the “Gangsta Gardener” and his unexpected tactics have made him one of L.A.’s most widely known artivists. 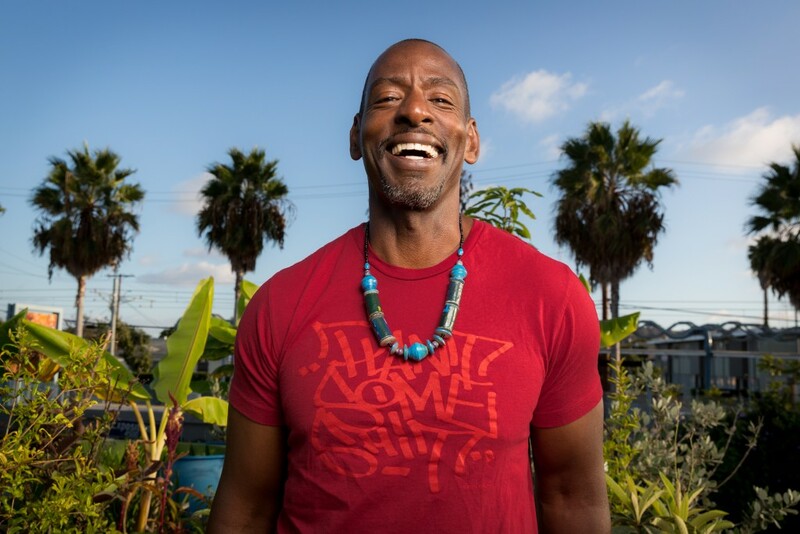 Frustrated by his community’s lack of access to fresh, organic food, Finley inadvertently started a revolution when he turned the parkway in front of his South Central L.A. home into an edible garden in 2010. When the city cited him for his plantings, Finley started a bureaucratic battle, gathering signatures and working with local officials until city ordinances were altered to include edibles. Ron’s goal was simple; bring healthy food to an area where there was none. Ron decided he did not want to live in a food prison anymore so he began to plant his own food. This simple logic inspired Ron’s mission to turn food prisons into food forests. With donated tools, saplings and seeds, he organized volunteers and led “dig-ins” citywide, planting edible gardens in resident parkways and yards, schools and homeless shelters. Eventually Finley’s work earned him an invite to the annual TED conference, an event where innovators share their ideas through storytelling. Finley’s TED Talk is a testament to his passion for the work. It has been viewed by nearly three million people to date on YouTube. Countless phone calls, emails and website messages have told Finley that his words and actions have affected people from Kauai to Qatar. With so much momentum behind him, he began to focus his energy on The Ron Finley Project, an organization which is changing culture from the ground up. Finley now speaks at global conferences and in classrooms regularly, spreading his gardening gospel wherever he’s invited. Gangs, poverty, and violence have long characterized the notoriously rough area of South Los Angeles. From executive producer John Legend, Can You Dig This? follows gardeners, of all ages, who are directly transforming their environment from the ground up. As a result of their labour and those of their friends, urban gardens are springing up around South LA. These gardens offer the residents affordable, nutritious produce, which is generally a scarce commodity, as well as a sense of autonomy. Ron Finley, one of director Delila Vallot’s subjects, aims to change the definition of what it is to be ‘gangsta’ as these self-described “gangsta gardeners” are building communities that encourage health and vitality, as opposed to promoting fear and destruction. This moving and beautifully shot film captures its subjects embracing life; as such, it is a testament to the power of the human spirit. Delila Vallot is an actress, dancer, and director, born and raised in Hollywood, California. 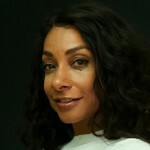 In her career, she has worked with some of the most well-known choreographers to date, including Vince Patterson, Jaime Rogers, and Debbie Allen, and has performed in such shows as CSI: Cyber, Saturday Night Live, and The Academy Awards and films including RENT, COYOTE UGLY, and THE SINGING DETECTIVE. She made her feature directorial debut in 2013 with the suspense thriller TUNNEL VISION. This will be Delila’s first feature length documentary. Born and raised in southern France, Jonah Bryson fell in love with exploring all the Mediterranean Sea had to offer, and deeply connected with the underwater world. At the early age of 12, Jonah decided to undertake his first feature film, A Sweet Spot in Time. This co-production with undersea explorer and producer Fabien Cousteau features world-renowned personalities including Canadian astronaut Chris Hadfield, social media phenomenon Prince Ea, and National Geographic oceanographer Dr. Sylvia Earle. This environmental film is a call to action for the people of today to fix the mistakes of humanity’s past and save the future of tomorrow’s children. It is set for release in 2017. 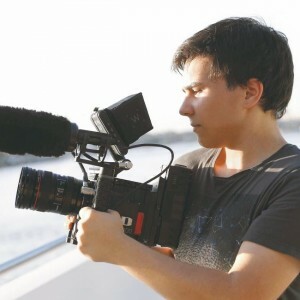 After receiving an Environmental Filmmaking award sponsored by Prince Albert II Of Monaco at the age of 14, Jonah co-directed The Fight for Bala with Sharkwater director Rob Stewart. It was released with The Huffington Post with support from National Geographic and The Globe And Mail. Following the release of the film, he was called ‘The whiz kid at the forefront of filmmaking in service of the preservation of the planet’ by National Geographic’s Scott Wallace. Also a certified scuba diver, Jonah serves as the North American Director of the Ocean Ark Alliance, a group composed of Emmy and Oscar-winning filmmakers using film as a tool to protect the world’s oceans (The OAA’s work has been featured on Netflix, the BBC, in Leonardo DiCaprio’s Before The Flood, and even on The Nature Of Things). In addition, he is a partner of Mission Blue, and has served as a judge for a United Nations and IUCN global competition. As a 16-year-old who is deeply concerned for his future, Jonah always tries to find new ways to help protect the environment and the world we depend on for survival using his passion for entertainment. The Planet in Focus staff and board are heartbroken at the news of losing such a young and incredible force. We would like to extend our deepest sympathies to his friends and family during this difficult time. Rob was not only a friend of the festival, but a worthy Eco-Hero, honoured at the Planet in Focus Environmental Film Festival where both SHARKWATER and REVOLUTION have screened in the past. Help Rob’s legacy live on by ensuring his latest film SHARKWATER: EXTINCTION is completed and shared with the world. Please donate through the PayPal link on the Official Sharkwater Website.